Puthandu, or Tamil New Year, is celebrated as the first day of Chithirai - the first month in the Tamil calendar year. People of Tamil origin start the celebration with vivid kolams (rangoli), which are put up outside the main entrance of their houses. On this day, people of Tamil origin wear new clothes and visit temples to seek blessings from God. They create colourful kolams (rangoli), which are put up outside their homes. For puja, a variety of three fruits are offered to God, and that includes mango, banana and jackfruit. Betel leaves, areca nuts, money and flowers are also arranged in a plate. This plate is the first thing that people see in the morning after they wake up. Food is an essential part of any festival. Maanga Pachadi, or raw mango pachadi, is a must in Puthandu's menu. It has a mix of sweet and sour. 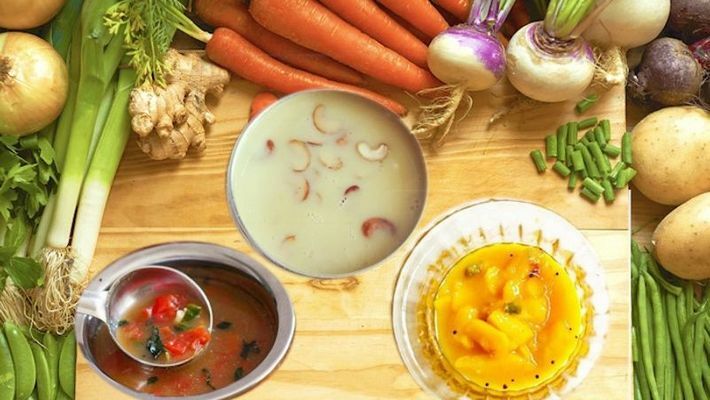 There are other mouth-watering dishes like Masala Vada, Millet Pongal, Medu Vada, Sweet Pongal accompanied by the famous sweet, Paruppu Payasam. This list doesn't end here. In the main course, steamed rice with vegetable dal and a simple rasam are served on banana leaf to create the festive touch.